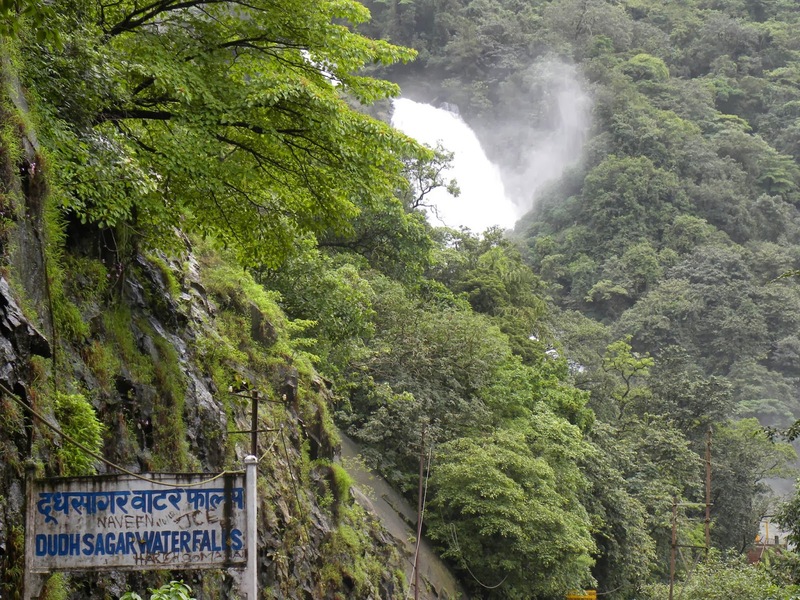 Dudhsagar Waterfall, India's 5th tallest waterfall and 227th in the world, is located at a height of 310 mts. 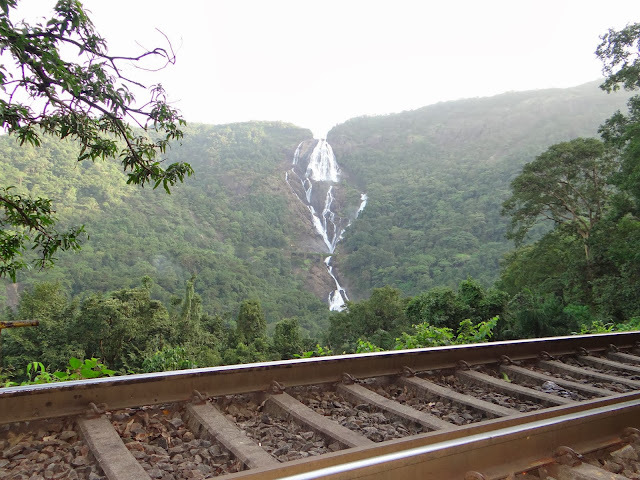 on the Mandovi River in the state of Goa, India. 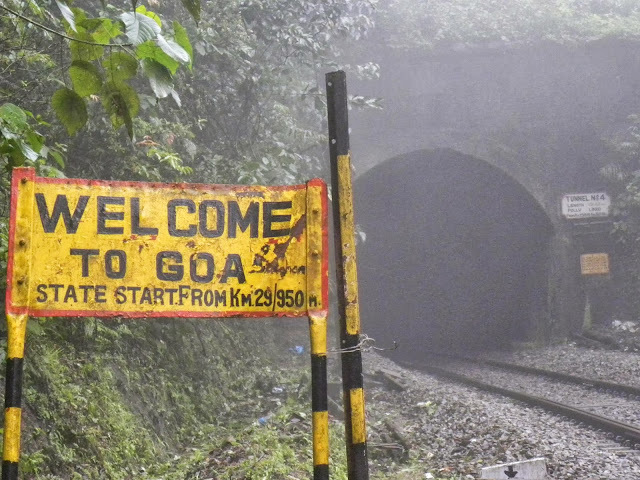 Well, on Goa-Karnataka border to be precise. 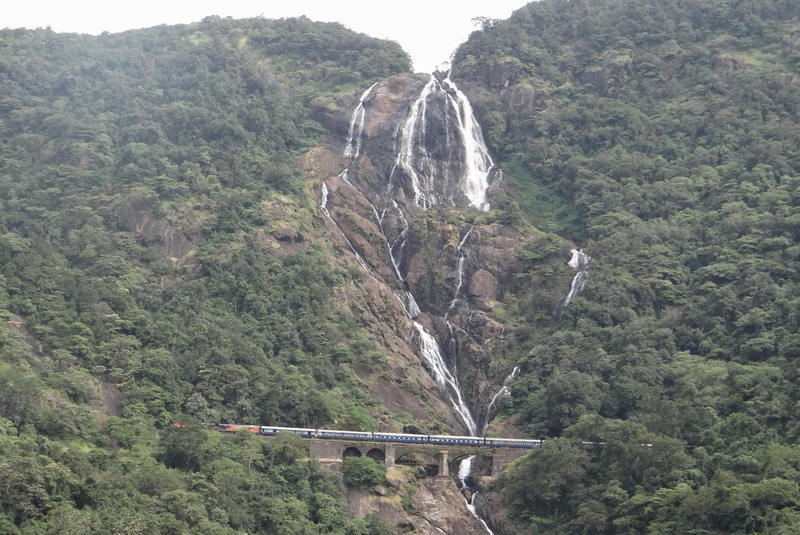 I have been to Dudhsagar Waterfall three times and I have covered all the routes below. 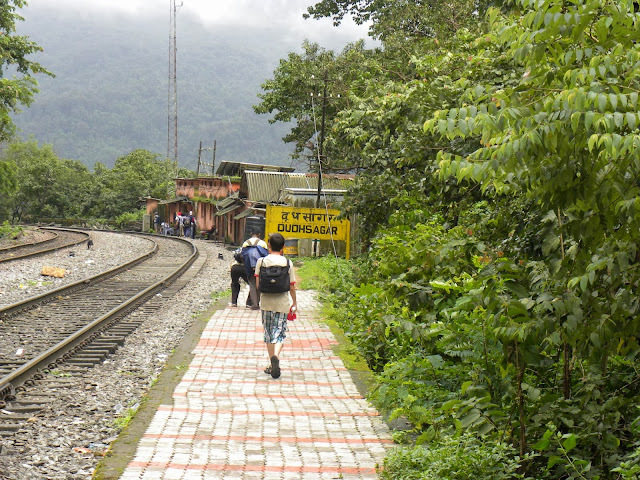 Get down at Dudhsagar railway station. Pass tunnel no.11 and you will reach Dudhsagar Waterfall. 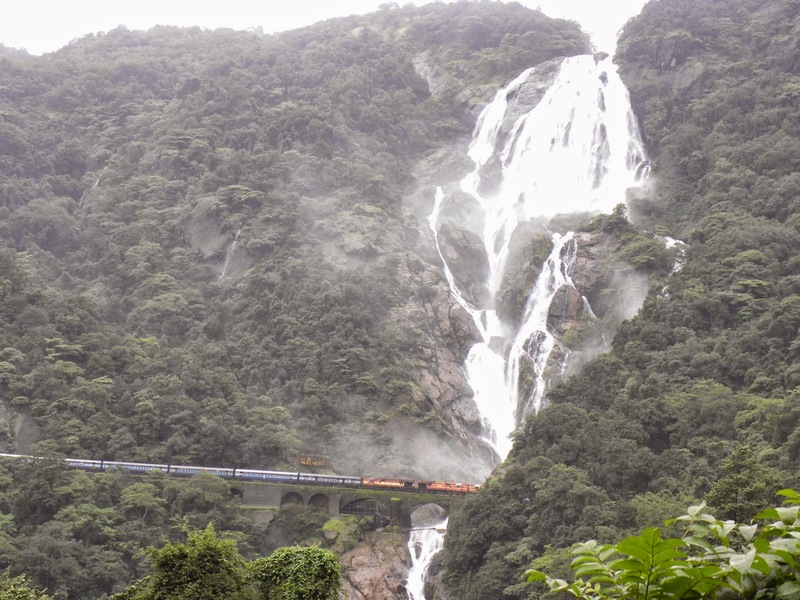 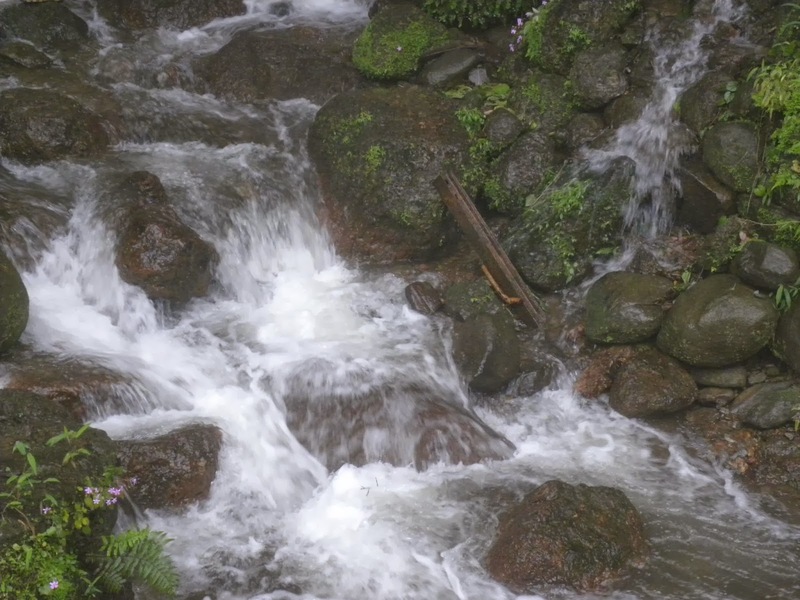 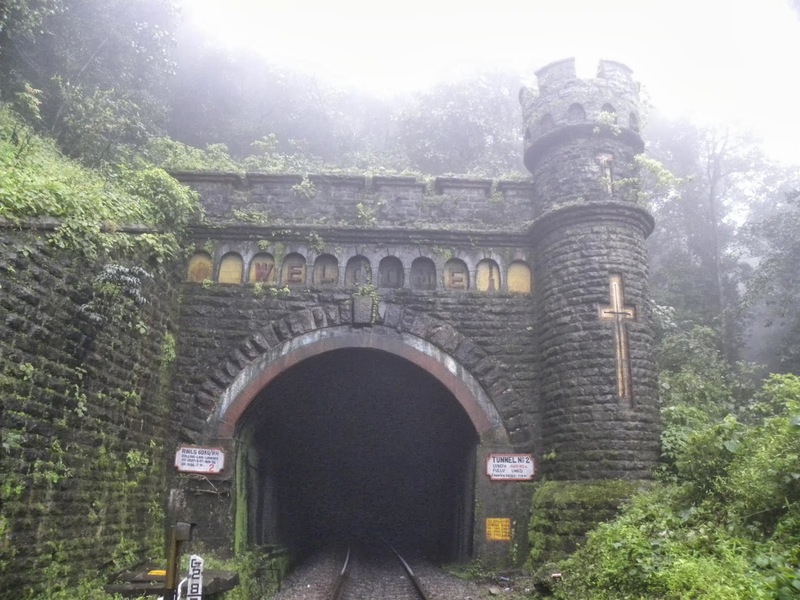 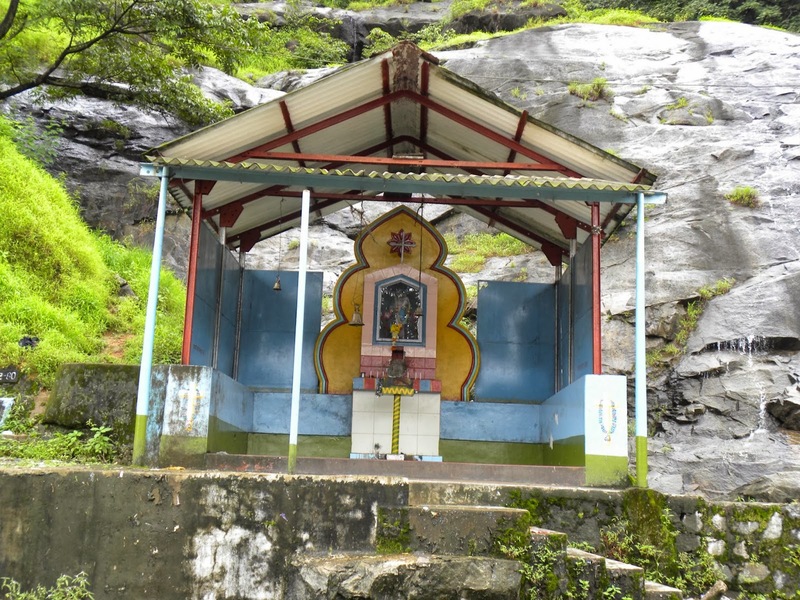 This is the most famous route during the monsoon, Reach Castle Rock station and start a Scenic 15 km hike to Dudhsagar Waterfall along the railway track, it normally takes 5–6 hours for a normal person to reach. 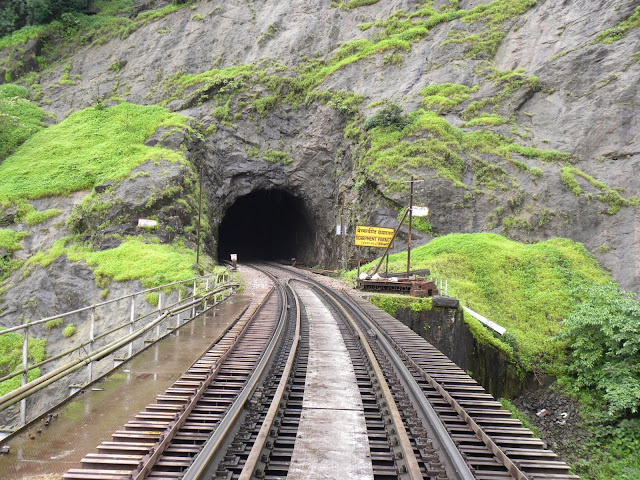 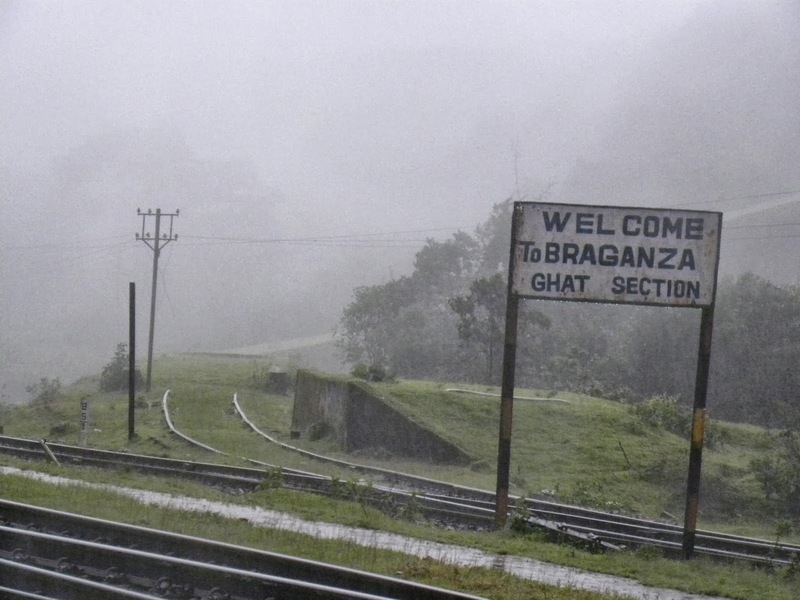 In this route we will be passing through 11 tunnels, a board reading "Welcome to Goa"( before tunnel no.4 ) and also great views of the Valley and small waterfalls. Also we pass through small railway station named " Caranzol "
This is equally scenic but less popular as compared to Route 2, One has to get down at Kulem/Collem Railway station and walk towards the falls which is about 12 km away. 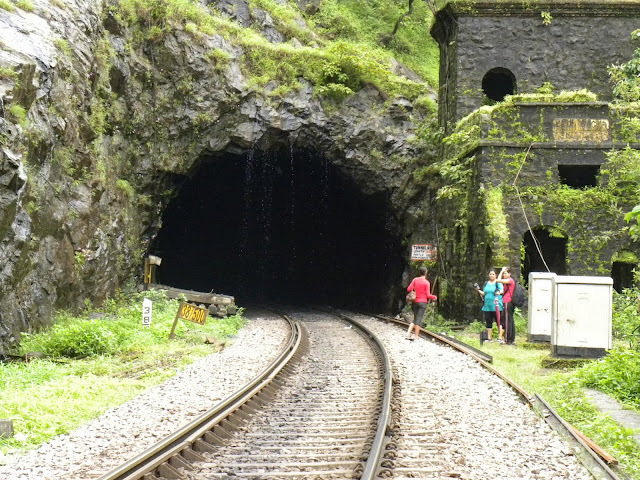 It normally takes 4–5 hours for a normal person to reach. The famous photograph of Trains passing through before the waterfalls can be seen in this route, and also the complete stretch of the falls will be visible while you hike towards the waterfalls. 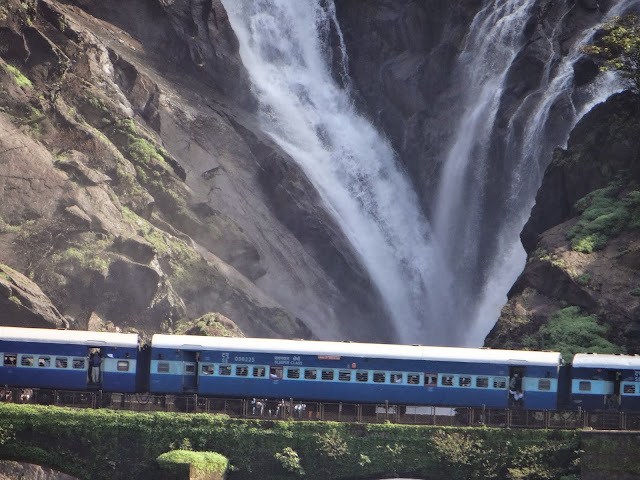 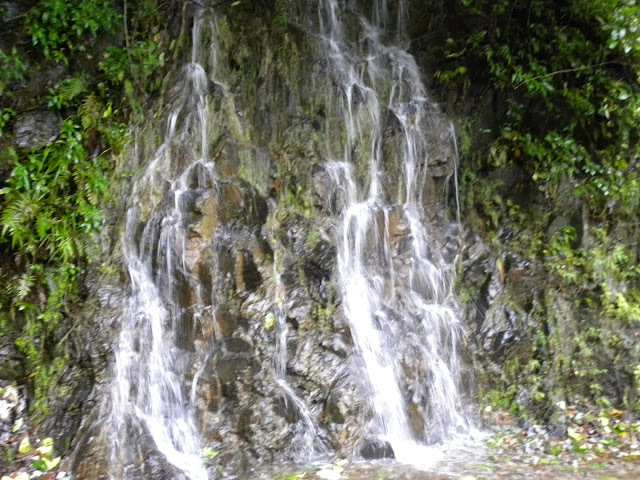 Also we pass through small railway station named " Sonalium "
Best time to visit: The good time to visit this magnificent falls and soak in its beauty is the Monsoon ( Mid July to September ) when the falls become active.